The city of Los Angeles declared Feb. 27 “Coco Day in L.A.” in celebration of the home entertainment release of Disney/Pixar’s animated feature film Coco. 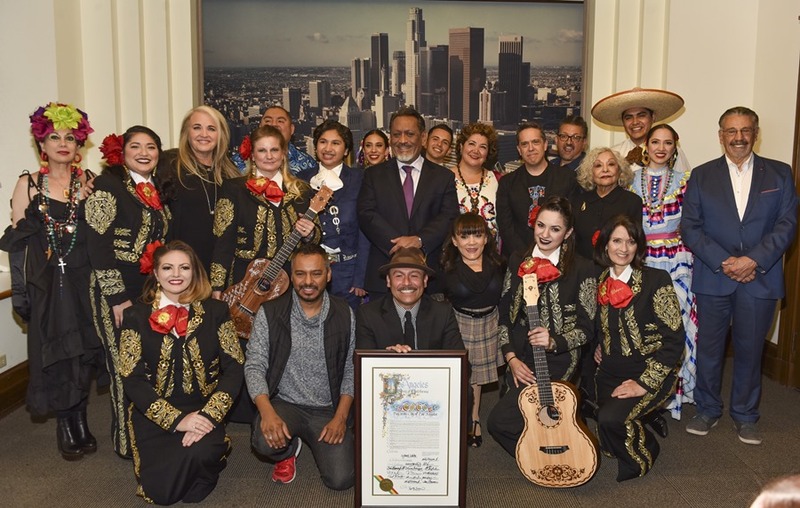 Los Angeles City Councilmember Gil Cedillo, who represents the city’s First District, presented the honors at City Hall to director Lee Unkrich and producer Darla K. Anderson. Additional voice talent in attendance included Anthony Gonzalez (the voice of Miguel), Renee Victor (the voice of Abuelita), Gabriel Iglesias (voice of the Clerk), Alfonso Arau (the voice of Papa Julio), Selene Luna (Voice of Tia Rosita), Lombardo Boyar (voice of Mariachi/Gustavo), Blanca Araceli (voice of Emcee), Dyana Ortelli (voice of Tia Victoria) and Carlos Moreno Jr. (the voice of a handful of characters including Corn Man). For more, click here: ‘Coco Day in L.A.’ Celebrates Release of Latest Disney/Pixar Animated Hit. The city of Los Angeles declared Feb. 27 “Coco Day in L.A.” in celebration of the home entertainment release of Disney/Pixar’s animated feature film Coco, issued that day on Blu-ray Disc, 4K Ultra HD Blu-ray, DVD and on-demand. (The film was released two weeks earlier digitally on HD, 4K and Movies Anywhere). 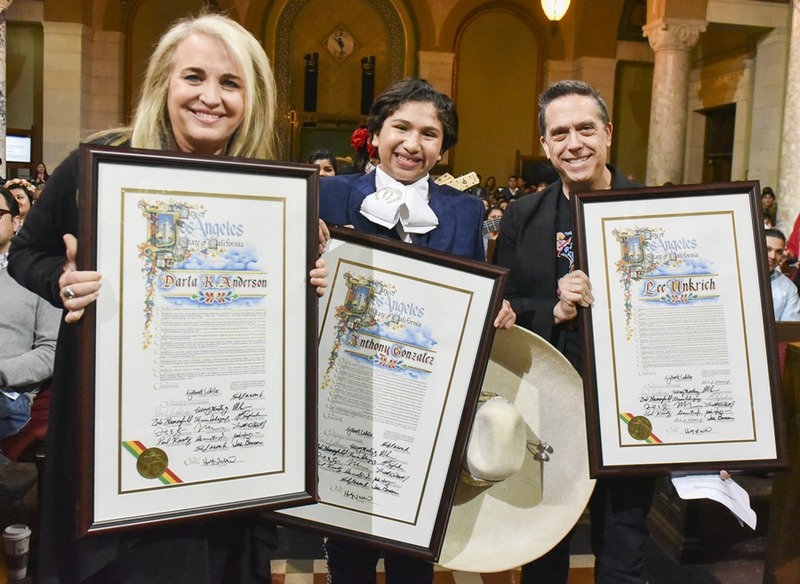 Los Angeles City Councilmember Gil Cedillo, who represents the city’s First District, presented the honors at City Hall to director Lee Unkrich and producer Darla K. Anderson. Additional voice talent in attendance included Anthony Gonzalez (the voice of Miguel), Renee Victor (the voice of Abuelita), Gabriel Iglesias (voice of the Clerk), Alfonso Arau (the voice of Papa Julio), Selene Luna (Voice of Tia Rosita), Lombardo Boyar (voice of Mariachi/Gustavo), Blanca Araceli (voice of Emcee), Dyana Ortelli (voice of Tia Victoria) and Carlos Moreno Jr. (the voice of a handful of characters including Corn Man). Coco is nominated for two Academy Awards – Best Animated Feature Film and Best Original Song “Remember Me,” and also won the 2018 Golden Globe Award for Best Animated Motion Picture. The film topped the domestic Thanksgiving holiday weekend box office, became the highest-grossing film of all time in Mexico, and broke records in China. In a major consolidation move across the Atlantic, Comcast Feb. 27 announced a $31 billion cash offer for British satellite giant Sky. The $17.40 per share offer bests Rupert Murdoch’s $14.96 per share offer through 21st Century Fox. Murdoch has sought to acquire the remaining 61% ownership of Sky after his initial 39% stake. “Sky and Comcast are a perfect fit: we are both leaders in creating and distributing content,” Comcast CEO Brian Roberts said in a statement. Sky provides sports programming, movies and broadband service to 23 million homes across Britain, Ireland, Germany, Italy and Austria. Notably for home entertainment, Sky’s “Buy & Keep” platform last October began offering consumers of digital movies a Blu-ray copy sent separately in the mail. Sky previously only offered a DVD backup. Comcast, which owns NBC Universal and DreamWorks Animation, is seeking to outmaneuver The Walt Disney Co., which has a $52 billion offer for select Fox assets, including Sky. The cable giants contends the acquisition would enhance its entertainment, distribution, and technology prowess domestically, while expanding it international footprint to more effectively compete in the rapidly changing and competitive entertainment and communications landscape. “We already have a strong presence in London, and Comcast intends to use Sky as a platform for our growth in Europe,” said Roberts. In a statement, 21st Century Fox said it remained committed to its $15 billion cash offer for the remaining stake in Sky, announced Dec. 15, 2016. 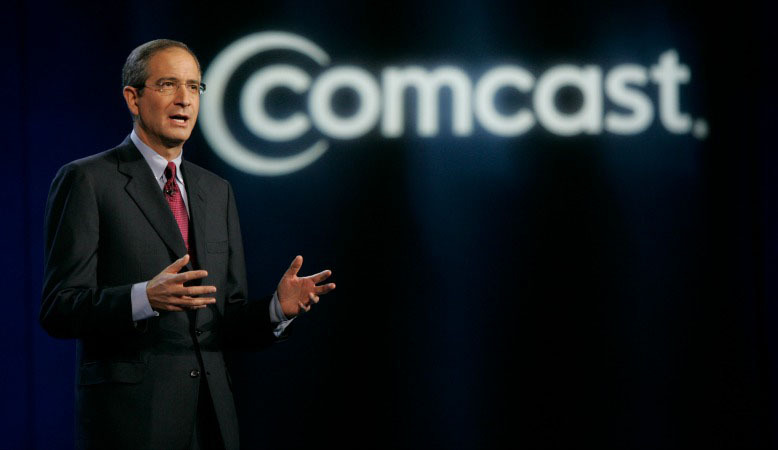 “We note that no firm offer has been made by Comcast at this point. A further statement will be made if appropriate,” Fox said in a statement. Media reports suggest Roberts is also considering another bid for Fox assets after Comcast’s original $60 billion offer was rejected in favor of Disney’s. 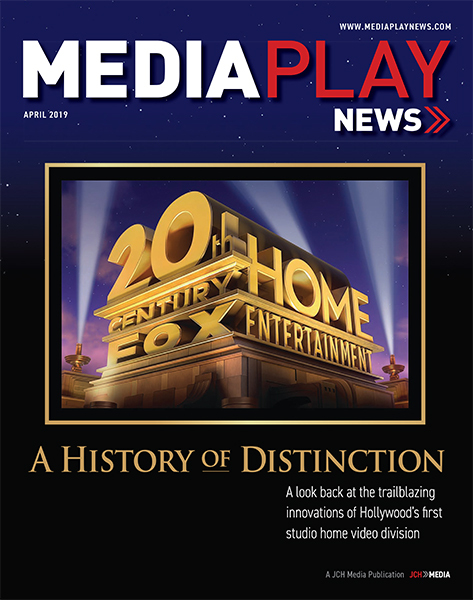 In what Redbox ‎director of marketing communications Kate Brennan calls “great momentum” for the kiosk disc rental operator, a federal court in Los Angeles on Feb. 20 rejected the Walt Disney Co.’s motion for a preliminary injunction to stop selling movie download codes. Disney is the only studio that won’t sell product to Redbox. As a result, Redbox staffers buy Disney DVDs and Blu-ray Discs at retail, and then rent the discs while selling the codes – included in Blu-ray Disc combo packs – separately. Last November, Disney filed suit, seeking to prohibit Redbox from selling codes to titles such as like Rogue One: A Star Wars Story and Moana at a discount to what digital copies sell for on Amazon or iTunes. The judge, however, ruled that the warning does not constitute a contract restricting what a consumer can do with product purchased at retail. “From Redbox’s perspective, the court’s decision was a common-sense application of the law of contracts to the unenforceable fine print on the outside of Disney’s combo packs,” Brennan said. However, the court did rule that “at this stage of proceedings, it appears to the court that the First Sale Doctrine is not applicable to this case” – a critical cog in Redbox’s January countersuit against Disney, in which the kiosk operator maintains Disney digital codes should not be treated any differently than physical discs that it is legally entitled to rent. The First Sale Doctrine, which video retailers used in the early 1980s to establish their right to rent videocassettes over strong studio opposition, says a copyright owner cannot prohibit a purchaser from reselling a copy of a work, such as DVD. Specifically, the judge said that regardless what Disney’s representations on the disc case may suggest about whether or not a ‘copy’ is being transferred, he disagreed that a ‘particular material object’ exists, let alone could be transferred, prior to the time that a download code is redeemed and the copyrighted work is fixed onto the downloader’s physical hard drive. Instead, Pregerson contends Disney appears to have sold something akin to an option to create a physical copy at some point in the future. Because no particular, fixed copy of a copyrighted work yet existed at the time Redbox purchased, or sold, a digital download code, the judge ruled the First Sale Doctrine inapplicable in the case. 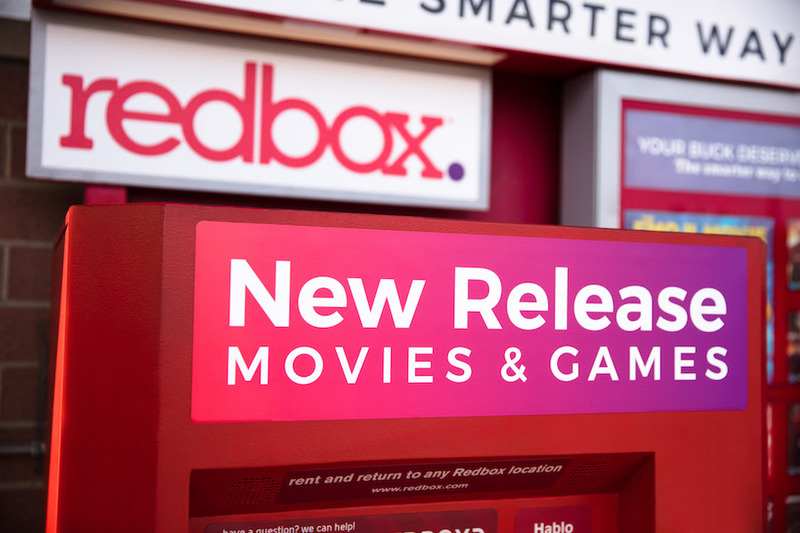 The two parties will again square off in court on March 5, in a hearing on Redbox’s motion to dismiss the case. Hulu, the No. 3 domestic subscription streaming video service with 17 million subscribers, generated $920 million in combined 2017 equity losses for corporate parents Walt Disney Co., Comcast, 21st Century Fox and Time Warner. The SVOD service, which is 30% owned by Disney, Fox and Comcast, with Time Warner holding a 10% stake, generated equity losses of $531 million during the 2016 fiscal period. Based on Comcast’s 10K regulatory filing, the media giant recorded an equity loss of $276 million in 2017, up 64.2 % from an equity loss of $168 million loss in 2016, and $106 million loss in 2015. Comcast said the losses were driven by higher programming and marketing costs. Indeed, Disney Feb. 6 revealed it expects more than $250 million in equity losses on Hulu in 2018. The revised projection is up from a previously anticipated loss of $100 million. Disney is on the hook for about $450 million in capital contributions to Hulu in 2018, according to a regulatory filing. Disney, along with other Hulu corporate owners, expect to recoup the losses through content sales delivered by proprietary channels. Regardless, BTIG Research analyst Rich Greenfield believes Hulu’s fiscal losses could reach $1.7 billion in 2018 – on top of an additional $1.5 billion in combined capital investment. The Walt Disney Co. Feb. 6 revealed it expects more than $250 million in equity losses on Hulu in 2018. The revised projection is up from a previously disclosed loss of $100 million. Disney co-owns (30%) Hulu, which has about 17 million subscribers, with 21st Century Fox (30%), Comcast (30%) and Time Warner (10%). Disney would become majority owner of Hulu should its $52.4 billion acquisition of select Fox assets pass regulatory muster. On the fiscal call, CFO Christine McCarthy said about a third of the loss ($82.5 million) would impact second quarter (ending March 31) financial results. 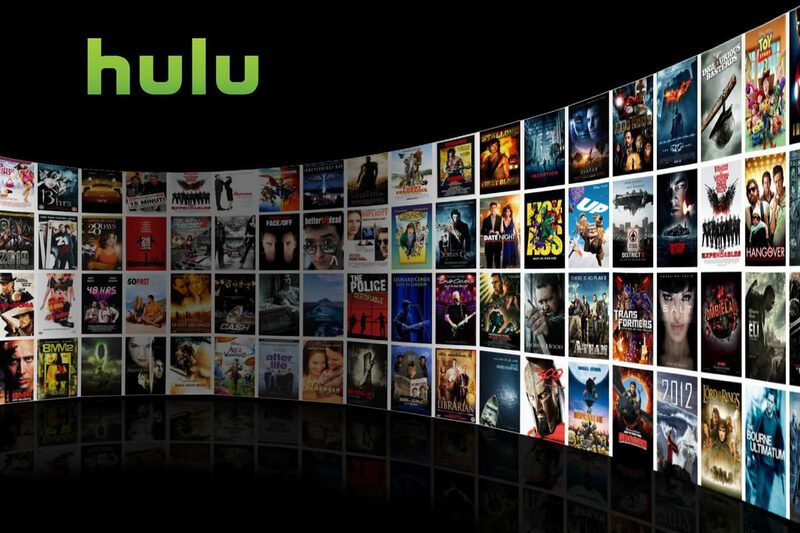 The executive said the increased losses are due to content licensing between Hulu’s equity owners. As a stake holder, Disney expects to recoup the loss through Disney-ABC Television Group content sales as well as various affiliate network revenue. Disney is on the hook for about $450 million in capital contributions to Hulu in 2018, according to a regulatory filing. On the fiscal call, Disney CEO Bob Iger said following the end of Netflix’s exclusive pay-TV distribution of its original Marvel, Pixar and Lucasfilm movies, all titles released in 2019 would be distributed through proprietary digital channels, including possibly Hulu. “Hulu has an existing output deal with HBO that will last longer by a few years the deal we have with Netflix,” Iger said. He said it remains Disney’s intention following closure of the Fox deal to grow the global direct-to-consumer business taking advantage of combined studios’ production output. “We fully hope to expand our production of intellectual property under those [Fox, Disney] umbrellas — studio and television to feed multiple direct-to-consumer businesses that we own,” Iger said. Walt Disney Studios Home Entertainment Feb. 6 said first-quarter (ended Dec. 30, 2017) revenue declined 29% to $390 million due to lower unit sales of Pixar’s Cars 3 compared to Finding Dory in the previous-year period. The studio generated $547 million in sales in the previous-year period. Cars 3 generated $44.1 million on more than 1.7 million combined DVD/Blu-ray Disc sales, according to The-Numbers.com. Finding Dory generated $84.4 million on more than 4.7 million disc sales in 2016. Totals do not include 4K UHD Blu-ray and digital retail. The decline is relative considering Cars 3 remains the 13th best-selling disc in 2017. Indeed, Disney had six of the top 14 selling discs in 2017. Lower home entertainment revenue was due to a 23% drop in unit sales and 3% dip in average net effective pricing — the wholesale selling price adjusted for discounts, sales incentives and returns. Overall studio revenue for the quarter was flat at $2.5 billion and segment operating income decreased 2% to $829 million as an increase in theatrical distribution was more than offset by decreases in home entertainment and TV/SVOD distribution results as well as lower income from consumer products & interactive media segment revenue share. TV/SVOD and other distribution revenue dropped 7% to $945 million from $1.01 billion last year. Theatrical revenue reflected the success of Star Wars: The Last Jedi and Thor: Ragnarok in the current quarter compared to Rogue One: A Star Wars Story and Doctor Strange in the prior-year quarter. Other significant releases in the current quarter included Coco, while the prior-year quarter included Moana. Indeed, Moana was the top-selling disc in 2017 with more than $114 million in revenue from combined disc sales of more than 4.3 million units. Lower TV/SVOD distribution results were primarily due to a decrease from pay-television driven by the domestic availability of two key titles in the prior-year quarter compared to one key title in the current quarter. The prior-year quarter included Captain America: Civil War and Jungle Book, while the current quarter included Guardians of the Galaxy Vol. 2. Amazon Studios will showcase its first Super Bowl ad for a TV show or movie when it airs a trailer for episodic series, “Tom Clancy’s Jack Ryan,” starring John Krasinski (“The Office”) – the fifth actor to play the title character after Alec Baldwin in The Hunt for Red October in 1990. “People are aware of Prime video, but they’re not always aware that they get this award-winning programming as part of the membership,” Mike Benson, head of marketing for Amazon Studios, told The Los Angeles Times. The Big Game, which boasts a domestic TV audience of 100 million, again promises to be a showcase for Hollywood studios and subscription streaming video mainstays spending upwards millions per spot. Few studio ads have been confirmed, but online speculation is rampant. Paramount Pictures has myriad options, including spots for Krasinski’s horror thriller, A Quiet Place, in addition to Tom Cruise’s Mission: Impossible – Fallout, among others. Universal Pictures has spots for Jurassic World: Fallen Kingdom, Dwayne Johnson’s Skyscraper and Fifty Shades Freed. Walt Disney Studios could run ads for Black Panther and Avengers: Infinity Wars, among others. Warner Bros., Sony Pictures and 20th Century Fox reportedly are not airing ads. Hulu, which aired a 2017 Super Bowl ad for original series, “The Handmaid’s Tale,” undoubtedly will run another spot considering corporate co-owner Comcast (NBC Sports) is broadcasting the game. Netflix might air an ad for a Cloverfield sequel. The third installment in the franchise originally was set to be distributed by Paramount, until it wasn’t. Scuttlebutt at the Sundance Film Festival had Netflix acquiring global rights. Lionsgate is shopping – itself. 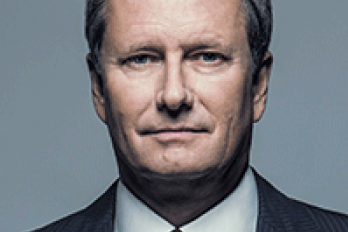 With AT&T’s $85.4 billion acquisition of Time Warner in regulatory limbo, and Walt Disney’s $52.4 billion acquisition of select 21st Century Fox assets, including 20th Century Fox, pending, big media mergers are on the mind of Michael Burns, vice chairman of Lionsgate. With a $7 billion market cap, Burns says Lionsgate is a “pint-sized bite” for potential suitors compared to “800-pound” gorillas like AT&T. Speaking on CNBC, Burns reiterated the usual “enhancing shareholder value” mantra driving publicly-traded companies like Lionsgate to acquire or be acquired. Burns was quizzed about the likelihood of Lionsgate merging with Verizon, Comcast, Amazon or possible reunified Viacom/CBS. He said merging with a telecom such as Verizon could be a big deal, provided the telecom decided what businesses it wants to be in. Burns was alluding to Verizon CEO Lowell McAdam, who, on the fiscal call, said the telecom wasn’t looking at any M&A activity in the short-term. Burns said he is very interested in the outcome of the DOJ’s antitrust lawsuit against the AT&T/Time Warner merger. The executive called Comcast’s $30 billion acquisition of NBC Universal in 2011 the deal of the century. “Again, you have to show organic growth or you have to make acquisitions, like us, which would be a bolt-on acquisition for [Comcast],” Burns said. Merging with Amazon would seem realistic given the ecommerce behemoth’s 70 million Prime members and ongoing content deals between the two companies, including movies The Big Sick and Oscar winner Manchester by the Sea. He said media companies, particularly in the tech space, have to decide whether they want to “build it” or “buy it” when determining how far ahead the competition is in the streaming and subscription business. Rupert Murdoch’s quest to acquire outright control of British satellite operator Sky Jan. 23 suffered a setback after a government regulator found the $15 billion acquisition by 21st Century Fox would not be in the public interest. Fox currently owns 39% of Sky. Following referral from the Secretary of State for Digital, Culture, Media and Sport, the Competition and Markets Authority (CMA) had been tasked with investigating the deal’s media plurality and commitment to broadcasting standards. Specifically, the CMA found media plurality concerns for viewers on a Fox-owned Sky, including access to a wide range of political viewpoints. The group found that due to its control of News Corp, the Murdoch family has significant influence over public opinion. Full ownership of Sky by Fox would strengthen this even further. The watchdog said media plurality goes to the heart of the U.K.’s democratic process and as such is given legal protection. 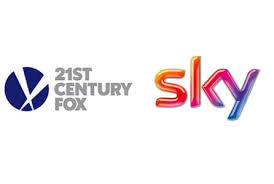 CMA said the ruling did not involve a lack of a “genuine commitment” by Fox/Sky meeting broadcasting standards in the U.K. Notably, should U.S. regulators okay Walt Disney’s $50 billion acquisition of 20th Century Fox, Disney would assume control of Fox’s stake in Sky. The CMA will present a final report to Matthew Hancock, secretary of state for digital, culture, media and sport, by May 1. Hancock will make the final decision on the proposed deal.